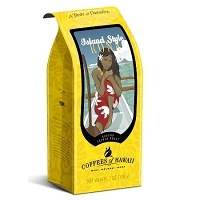 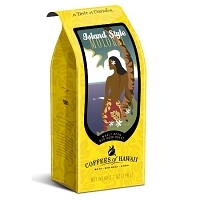 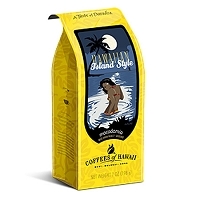 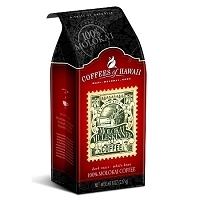 Premium beans from throughout Hawaii come together, capturing the essence of the islands. 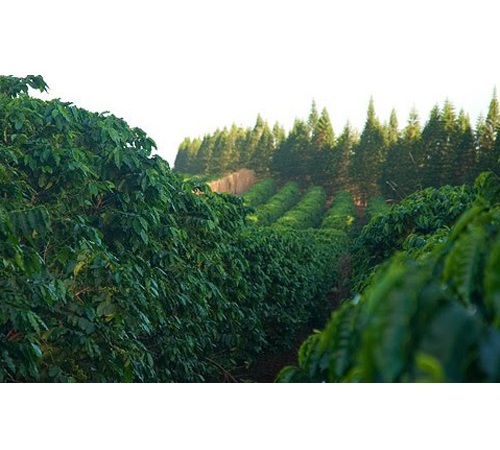 A medium roasting releases that essence. 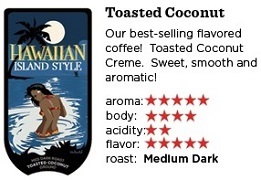 Then our roast master adds a touch of the balanced tropical sweetness of toasted coconut. 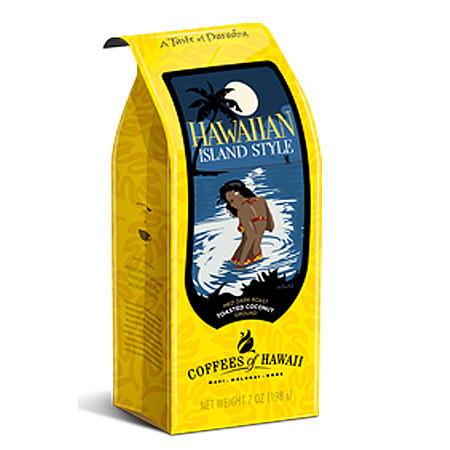 Decadent! 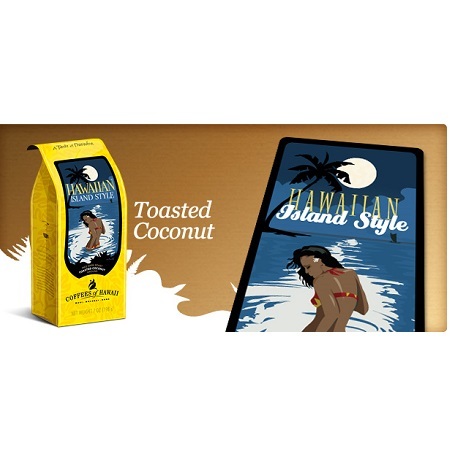 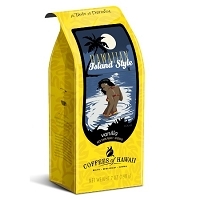 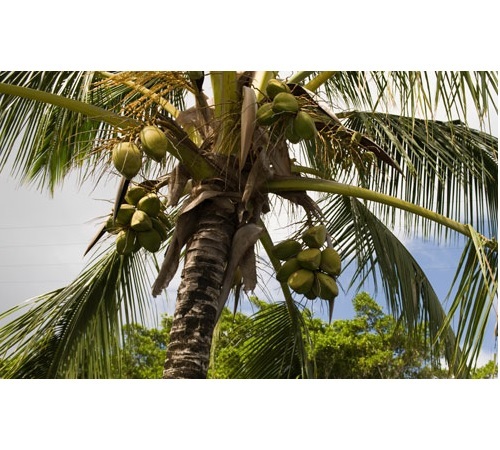 Island Style Toasted Coconut contains no less than 10% Hawaiian beans.